What is a sitemap? how to create one in your WordPress site? What is a Sitemap and how to create a sitemap in WordPress? As a website owner, it is mandatory that you know certain aspects involved in SEO. You cannot just write and publish blog posts and be ignorant about website maintenance, search engine optimization and stuff like that. Sitemap is one such thing that you need to know about. You would have heard about “Sitemap” as discussed by other bloggers or you would have seen the link named “Sitemap” on other sites. So what is a Sitemap? Why do sites have a Sitemap and link to it from one of the prominent places in the site? Do you need a sitemap for your site too? What good does your site get by having a Sitemap? Let’s discuss all these in this post. What is a Sitemap and why do you need one? A sitemap is a collection of links to all the pages in a website. Nowadays sitemaps are published in XML format. Even though a sitemap is a collection of links to all the pages of a website, it is of no specific use to your readers. It is more of use to the search engine bots. Or I should say it this way – having a sitemap on your site is useful to YOU because it assists search engine bots to crawl the webpages of YOUR site. But here is a word of caution – just because I put the word “search engine bots” up there doesn’t mean that having a Sitemap on your site will give you a boost in rankings. Having a sitemap doesn’t guarantee that. If someone told you so, don’t believe it because if having a sitemap will boost your rankings then all the website owners would simply have a sitemap on their site and never worry about SEO or content. However if you want the search engine bots to crawl the pages on your site, then a Sitemap makes that process a lot easier. It presents the search engine bots with an easier option to crawl your web pages. A sitemap is useful to you and you do need one no matter whether your site is a new one or an established one. For new sites, a sitemap gives a kick start by immediately letting know the search engine bots about the pages on your site. For established sites it helps the search engine bots to crawl and index any changes to the website like publishing of a new blog post or other changes. The search engines will also be able to see how often your site is updated. This gives an edge to your site since you can improve your site’s visibility in search engines. In short, having a Sitemap gives you a great opportunity to stay in good touch with the search engines. Your and the search engine bots are in a good connection! So do you need a Sitemap? The answer is YES. How to create a Sitemap in WordPress? WordPress is a blessing in this context. We have plugins for just about anything. And yes, in order to create a Sitemap, there is a plugin. Oh actually there are many plugins available just for this purpose alone. But I am going to talk about just 2 plugins. Google XML Sitemaps and Yoast SEO. Now, the XML sitemap plugin does just one thing – it creates a sitemap for your site and pings Google and other search engines each time your site is updated. Once you install this plugin you will see an option called “XML-Sitemap” under the Settings module in your WordPress dashboard as shown below. Also see some of the basic settings below. As far as Yoast SEO is concerned, I strongly recommend every WordPress website to have this plugin. 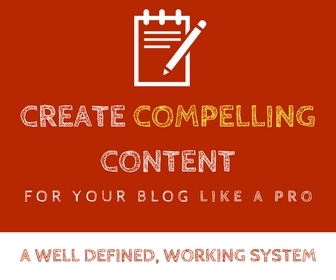 I initially started using this plugin only for adding SEO metadata to blog posts and pages. But this plugin does a lot more than that. Here are a few things this plugin can do, in a nutshell. Does basic technical SEO for your site to start with. Helps adding meta elements for your content. Does on-page SEO analysis and helps you write content optimised for search engines. Helps you to add XML Sitemap to your site. Helps optimise your RSS feed so you don’t lose your RSS visitors. Helps adding the breadcrumb functionality to your site. Helps with accessing and editing the .htaccess and robots.txt files. So if you have the Yoast SEO plugin on your site for any or all of the above uses, then you can as well use it for creating the Sitemap for your WordPress site. So you don’t need additional plugins just for the sake of Sitemap! When you have Yoast SEO installed on your site, you will see a “SEO” module in your WordPress dashboard and then XML Sitemaps under that. With Yoast though, you don’t have to do anything. It takes care of this whole sitemap thing in just a click. See below. And then you could select some advanced options if you wanted to (and if you know what you are doing). Else, it is totally fine to leave it alone. Now that you have generated the Sitemap for your WordPress website, you can go ahead and submit your sitemap to Google and Bing Webmaster tools (search console). Just go to Google Search console and click on your site (each site you added in your account is called a property). 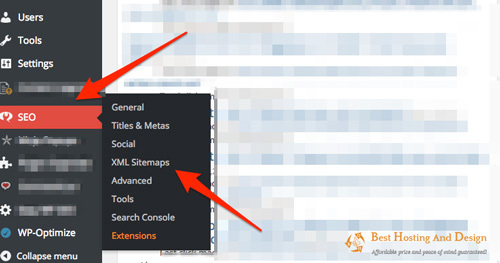 Then you will find a button/module called Sitemaps as shown below. If you haven’t submitted a sitemap before (I assume so, or you wouldn’t be reading this!) you won’t see that (1) in bracket. That number denotes the number of sitemaps submitted already. In my case, since I have already submitted my sitemap it shows as (1). OK so now click on that Sitemap button and on the right you will see a red button that says ADD/TEST SITEMAP. Click on that button! 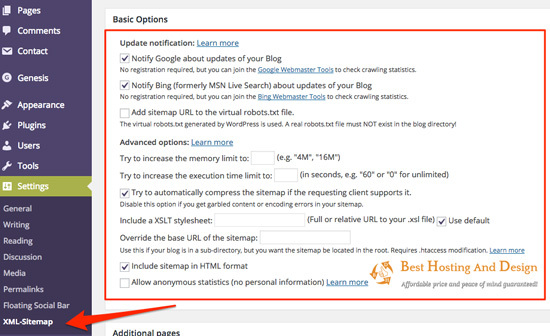 You will see an option to enter your sitemap url. Copy the sitemap URL you saved earlier and paste it in the box, and delete whatever is pre-filled. For instance, if your sitemap url is http://www.yoursite.com/sitemap_index.xml, you just have to paste sitemap_index.xml into that box because everything before that is pre-filled for you. And then, click on Test Sitemap. You could directly click on the Submit button but it is better to test it first to see if you get any errors or warnings. Once everything is fine, you can click Submit. Voila! You have now created a sitemap for your WordPress website and have submitted it to Search console. The procedure is the same to submit to Bing Webmaster tools! 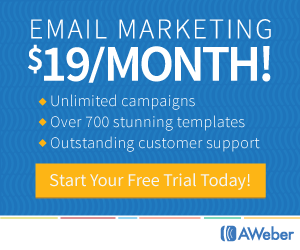 Did you successfully create a sitemap and submit it to Webmaster tools? 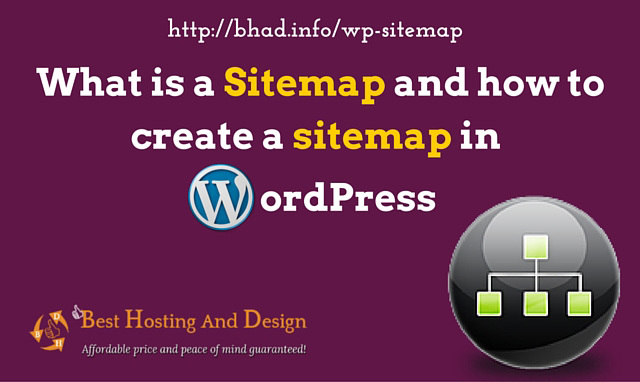 I hope this post helped you to gain knowledge about what a sitemap is. You would have now realised that you need one for your site. So ya go ahead, create one and submit it to search console and Bing Webmaster tools. Very neatly explained and simple to understand for newbies like me. Will keep this as reference. Good article and thanks for sharing your views. 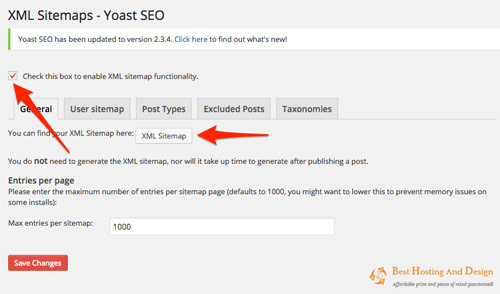 While I have been using Yoast, I have not yet installed Google XML Sitemaps. I can see how these two plugins can work so well to get those bots to recognize what we are publishing. Yes, I think I’m going to give this one a whirl. I haven’t been paying close attention to this. I know I’m bad lol. But you have brought to light how important this is to use. I thank you for learning something new today.